8 So why do brainwaves matter? 9 What is Brainwave entrainment? 11 What are isochronic tones? 12 How do you use brainwave entrainment? 13 Is brainwave entrainment safe? 14 How does this all affect you? Put simply, binaural beats are an audio method of getting our brainwaves into a particular state for a particular period of time for a particular purpose using a different sound delivered to each ear via headphones. They are sounds to influence the brain. In itself that description is valid but doesn’t explain a great deal until you look more into what brainwaves are and why they matter. The human brain is a complex organism made up of billions of brain cells called neurons. These neurons are constantly at work, communicating with each other and building new connections within your brain. The communication physically occurs by these cells emitting electrical signals which are received by other cells who, in turn are sending out their own communicating electrical signals. When millions of these neurons are all communicating at once, it generates a significant amount of electrical activity which can be picked up by a sensitive recording device called an electroencephalograph machine, or EEG. The important concept to grasp is that the state of our brainwaves dictates the state of our mind. When our brainwaves are in a particular pattern, we will be in a predictable state of mind as a result and our state of mind creates our understanding of our reality, and therefore our reality itself. The goal, then, is to put ourselves into effective, healthy brainwave patterns as often as possible. We can train our brains into different brainwaves through relation and meditation practices but these methods are sometimes difficult and take a long time to master if we try to master them without external stimuli. Five different kinds of brainwaves have been identified – Beta, Alpha, Theta, Delta and Gamma. We are most often in a Beta brainwave pattern when we are awake. Beta brainwaves are produced when we are alert and engaged in mental activity, usually using the right side of our brain which is associated with logic, reasoning and spatial awareness. We need to be in the Beta brainwave pattern to function properly in our daily lives. When we are in an optimal Beta state we experience increased concentration, focus and alertness, improved logical thought and problem solving ability. Taking stimulants such as coffee would cause an increase in Beta brainwaves and temporary improvements in these areas but spending too much time in a high Beta state is not good for us, leading to anxiety, unfocussed thoughts, an inability to relax or sleep properly and stress. Too little Beta, however, can lead to poor cognition, an inability to focus and perhaps depression and ADHD. 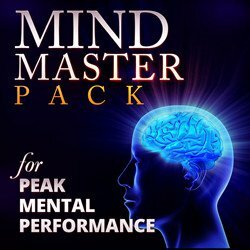 If you want to try out a Brainwave Entrainment Program to help you concentrate, CLICK HERE to read my Nitrofocus mp3 Review. If your brain is generating Alpha brainwaves your brain activity will be slower and you will be in a more relaxed state of awareness. You may be daydreaming or carrying out a routine task that doesn’t demand too much thought such as taking a shower or light gardening. Or you may deliberately slowing down your brainwaves to an Alpha level by meditation. Whilst in Alpha your stress is greatly reduced and you can experience greater imagination, creativity and flow. You may be a little detached, enjoying relaxed absent-mindedness and you may be more receptive to hypnosis and auto-suggestion. The two halves of your brain naturally begin to synchronise and work together. As you can imagine, there are many health benefits from spending time in an Alpha brainwave pattern including reduced stress and anxiety, reduced blood pressure and chronic pain. You may also experience feelings of euphoria and increased motivation and energy. It may be tempting to think that you want to spend all of your time in Alpha but in reality you would probably be too relaxed to focus effectively on work and career and may daydream too much. Substances that relax us such as alcohol, marijuana and relaxants may temporarily boost Alpha brainwaves. If you want to try out a Brainwave Entrainment Program to help you relax, click here to read a review of my favourite Meditation program, Zen12. Theta brainwaves are slower again and commonly occur naturally during light sleep including the REM (rapid eye movement) sleep state. As our brains are in Theta while when we are in restorative sleep, there are health benefits of being in a deliberate Theta state including improved physical healing, release of hormones to promote health and longevity, as well as a reduction in stress and mental tiredness. Inducing a Theta brainwave state can help you get off to sleep and reduce the time you need to be asleep. A goal of meditators is to achieve a Theta state while awake and practiced, long term meditators describe a trance-like state where they feel their mind has gone to sleep but they are aware of their surroundings. They describe it as prolonged daydreaming and find that they have no awareness of time while in this state. They often get closer to their emotions and feel them more fully. While in a Theta state you can experience deep relaxation, heightened intuition and inspiration and profound creativity. As with the Alpha state both sides of your brain are in sync and whole-brain use is achievable. Many meditators have psychic or paranormal experiences whilst in this state and many claim a spiritual experience of being connected with the world. Interestingly, Theta brainwaves are the dominant brainwave pattern in most children and teenagers. There has been much research into Theta brainwaves and the general conclusion is that small periods of Theta brainwaves (20-30 minutes per day) can be very beneficial but we shouldn’t overdo it while we are awake. If you want to find out about a Brainwave Entrainment Program to help you sleep, CLICK HERE to read my Sleep Salon Review. Delta brainwaves are the slowest waves and occur naturally during deep dreamless sleep when the body heals and releases several hormones to promote anti-aging and maintenance of skin, bone and joints. Delta brainwaves are found in infants and young children ( 0 – 24 months) but as we age we tend to produce less Delta waves, even when asleep. The Delta state is the state of deepest relaxation and Delta waves have been found to be involved in unconscious body functions such as digestion and maintenance of the immune system. If we receive enough Delta waves during the night we would wake up feeling refreshed and rejuvenated. Reasonable amounts of Delta brainwaves can help you be more understanding and compassionate towards others. Too much Delta can cause some learning problems and an inability to think and focus and too little Delta may result in poor sleep and and an inability ro revitalise the body and/or brain. Some people believe that whilst in a Delta state we have access to the unconscious mind and a collective or universal unconscious, making available to us information unavailable at a conscious level. Although Beta is the normal waking state and each of the other states involve the brain functioning at a slower rate, there is an even faster brainwave pattern than Beta – Gamma – which is considered the brainwave state that is able to process and connect information from all parts of the brain. The Gamma state is associated with higher processing tasks and cognitive functioning, allowing greater learning capability and bursts of insight and intuition. If you were naturally often high in Gamma brainwaves you would most likely experience high levels of intuition and intelligence, be more compassionate and aware of the inputs from your five senses, have a high degree of self control and exhibit greater than average feelings of contentment and happiness. If you have had an ‘ah=ha!’ moment, your brainwaves may have briefly reached the Gamma state. Read more about the benefits of gamma brainwaves here. It is the pattern of being extremely capable and in the zone – think Bradley Cooper in ‘Limitless’! If you want to try out a Brainwave Entrainment Program to help you become limitless, CLICK HERE to read my Gamma benefits article. So why do brainwaves matter? Brainwaves matter because they are the signature patterns of what is happening inside the brain when you are in a particular state. If an EEG machine shows your brain is emitting a 15Hz signal, you are going to feel focussed and awake and if it shows a 2Hz signal you’re probably in a deep sleep. The knowledge of the different brainwave patterns allows us to appreciate what is happening inside our brains when we experience these states. We know what our brain is doing when we get focussed on our work, when we being creative, when we are relaxed, when we have moments of insight and intuition and when we are sleepy. But your brainwave frequency isn’t just the result of being in a particular state. It can work both ways – deliberately adjusting your brainwave frequencies can actually put you in a particular state. If there was a way to control our brainwaves and reproduce in our brains the frequencies we need to have to be in a particular state, that would be very useful, wouldn’t it? There is and it’s called brainwave entrainment. There is a scientific phenomenon where if you strike a tuning fork and then hold a second tuning fork close to it, the second fork will vibrate at exactly the same frequency. This is known as the Frequency Follow Response, or entrainment. Your brain would do exactly the same thing in that if you expose it to a frequency it would follow that frequency which would in turn induce the state of mind associated with that frequency. Expose the brain to a 10Hz frequency and you will begin to feel calm and relaxed. But how can you expose your brain to a particular frequency? It can be done by light or sound. It can be achieved by flashing lights at a certain pulses per second. A French psychologist in the early 1900s began to use flickering lights to reduce patient hysteria and induce relaxation. This method grew in favour through the years and light machines for therapy are still popular today. But how can it be achieved using sound if the human ear can’t easily hear below 20Hz ? It can be achieved by sound using a method known as binaural beats, first uncovered over 170 years ago but not validated scientifically until 1959. 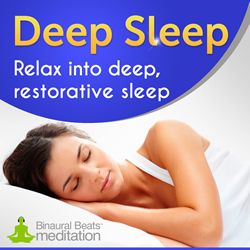 Binaural beats are sound tones that can influence your brain. In 1839 a Prussian physicist called WH Dove found that by playing two different frequencies into each ear, the brain creates a third beat which is pitched at the difference between the other two frequencies. For example, if you play a 200Hz tone in one ear and a 205Hz tone in the other ear, the brain will create a third tone of 5Hz. From the earlier paragraphs you now know that listening to these two tones will generate a state of extreme relaxation and sleepiness. Unfortunately for Dove, he couldn’t prove his discovery scientifically and it wasn’t until the late 1950s that the method received scientific validation and widespread recognition and acceptance. Since then, however, binaural beats have been thoroughly researched and proven to be an effective way to have an effect on brainwaves with the resulting improvement in mood, health and general well being. Studies have proven that spending 30 minutes in Alpha helps produce serotonin and other euphoria creating chemicals, regular entrainment increases the subjects ablility to respond to stressful situations and you can increase your iq score with entrainment, both short-term and long-term. 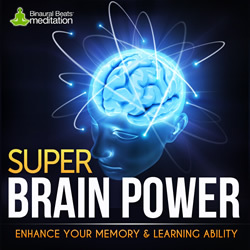 Through this powerful sound technology, brainwave change and benefits that come with it could be brought about in a predictable way in a shorter time without the need to spend years practicing meditation to bring it about. Improvements in digital technology saw the advancement of brainwave entrainment with the discovery of isochronic tones in 1981. Isochronic tones are computer generated fast audio pulses that gently entrain your brain to the required brainwave frequencies. They have been proven to be the most potent sound entrainment available and just become more powerful when they are combined with other entrainment methods. The tones are precise and allow the user to achieve a specific required experience. For instance, if you wanted to deeply relax you would listen to isochronic tone in the theta wave range and the tones would be 4Hz – 7Hz. As the same tone is going into both ears, you can listen to isochronic tones over speakers and they will still have an effect, but headphone are still recommended for an optimal experience. The tones are often masked by relaxing sounds such as flowing water, rain or bells but it is the tone that is having the effect on your brainwaves and the music just helping. How do you use brainwave entrainment? Nowadays, due to the advancement of digital technology, anyone can safely use brainwave entrainment in the comfort of their own home on a listening device of their choice. Methods of generating and recording binaural beats have also massively improved and today’s recording can accurately track and generate even the smallest of frequency changes. It is recommended to listen to your brainwave entrainment for about 30 minutes per day with headphones to get the best effect. Read more about how to choose headphones for binaural beats. Most programmes suggest you close your eyes, do nothing else and try to relax for those 30 minutes (without falling asleep!) although some that entrain for focus and iq recommend you continue to work while listening. Either way, you are exercising your brain and, like physical exercise, the benefits improve and stay with you as you continue to do it. You should feel some effects such as relaxation and calm almost straight away, but over time the effects will often be subtle and you may notice that a situation that would have stressed you before no longer does and you can cope with it better. Or you may find that you need a little less sleep each night. These are signs it is working for you. Brainwave entrainment is generally considered safe for adults over 18 but certain groups should not participate in it. It should not be used by anyone who is epileptic or has a serious mental disorder or brain injuries. It is not recommended for pregnant women, those wearing a pacemaker, those prone to seizures, those that are photosensitive, or those under the influence of medication or drugs. Furthermore, under no circumstances should anyone drive a car or operate dangerous machinery while listening to the brainwave entrainment. Entrainment can produce very hyper-relaxed and/or sleep states that may endanger you in situations that require your direct attention. Click here to read an article that considers can binaural beats harm you. Hopefully I have answered the question “What are Binaural Beats?” for you. Now that you are more familiar with this information, it will be becoming clear that brainwave entrainment is a valid and proven method of self improvement and realising your full potential. It is backed by science and can dramatically improve your life by helping you to relax, sleep, relieve stress and improve concentration. And you can achieve this level of brainwave control relatively quickly and easily without spending years learning meditation techniques, although it would be a perfect companion to a meditation routine. So, do some research into reputable companies that produce these sound files and be the judge for yourself. Most of them offer a free sample, or a free level and many of them offer a 30 or 60 day money back guarantee so you can buy with confidence. If you don’t get the benefits promised – although I’m confident you will – they don’t want your money and will cheerfully refund your payment. Read my round up of free, quality, professional free binaural beats here. I’ve already done some research into reputable suppliers and you can see my recommendations at www.binauralbeatsguru.com. 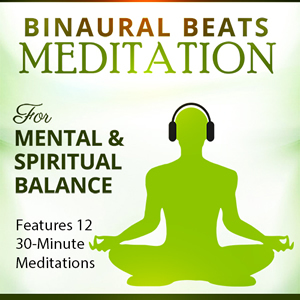 One of the suppliers I can fully recommend now is Binaural Beats Meditation. 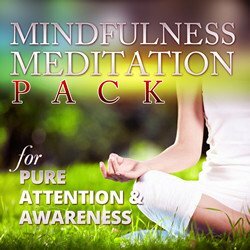 Their Mega Meditation pack contains 12 high quality recordings designed to entrain your brain to specific frequencies, allowing you to access targeted states. The diversity of the tracks allow you to pinpoint the exact benefits you want from entrainment and combine your listening to achieve the effects you want. A full user guide is provided to ensure you know how to use the products and there is a 7 day refund guarantee so you can try them without worry. Click on the image or . If you want to try out a Brainwave Entrainment Program, click here to try a FREE level.